If you are money conscious, it probably concerns you that you spend a little bit more every time on your regular shopping, especially the most basic requirements. The sad part is that there is always something else to blame — rising oil prices, weak currency etc. The bottom line of all this is that you have to adapt, and this essentially means cutting down on your expenditure either by buying fewer items when you go out shopping, or finding ways to spend less on the items you want. This post is a public service guide with the most important tips and ideas that you will find invaluable if you are looking for ways to save money on food. The most important yet overlooked step that anyone looking to spend less on food must start with is making a plan. A good plan involves taking an inventory of all the foods already available then coming up with a detailed shopping list based on what else is required for that shopping period. If you do your food shopping weekly, be sure to account for how you plan to use the leftovers and how this will affect perishable foods in the house. There are a couple of useful habits that would benefit you greatly if you included in your shopping. The first is shopping regularly on a schedule, such as shopping weekly and snacking before shopping to reduce the impulse to overbuy. It is also very important that you stick to the grocery shopping list you make, especially if you have kids helping you along when shopping. Most retailers and manufacturers offer coupons and sale offers among other strategies to attract and retain regular shoppers. When you start planning and budgeting your shopping in good time, you will also be in a good position to take advantage of coupons to get the best deal on your shopping items. You do not need to spend 12 hours a day scouring the media for coupons either; the internet is rich in platforms that does the hard work of collecting all the relevant coupons so you can find them in one place. You should also figure out which times of the month are perfect to shop for those items that will last longer than a week. For instance, in most cities, retailers offer the best deals on bulk shopping on weekends because these are the days most people head out to shop for the week. If you are the kind of person who has to buy lunch every day or look for vegetables when they need to cook it, you will spend a lot more than you would if you eat frozen veggies. Perishable foods such as vegetables are best stored frozen. The advantage of freezing foods is that it is healthier option because you will learn to control portions and you will save a lot of time that you would waste shopping for fresh foods. You can freeze all kinds of foods that go bad quickly including cooked grains, soups, bread, sauces, and vegetables. You should however be careful to only purchase frozen foods that are free of preservatives. There is a free app for almost everything today. Keeping track of your food expenditure is not easy, especially when you still use a pen and paper. What you need is an app for your device that can keep track of how much food you buy, how much you spend, and ultimately how much food gets wasted. These statistics will help you become a smarter shopper and to prevent food wastage. Some apps even have algorithms that will analyze your shopping and eating out habits to help you determine the best times to shop, the foods to buy, and where to get the best deals on foodstuffs. Take your food shopping game to the next level by comparing the prices of different retail stores before choosing one as your primary shopping destination. To save the most on foods, divide up your shopping list based on product type then hunt for deals offered at different stores. If you buy all the foods from under one roof, you will eventually spend more than you should. 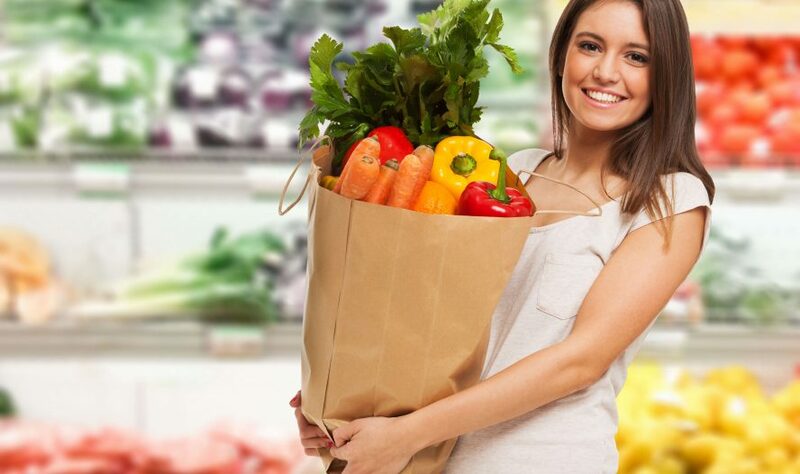 For instance, you can get the best prices for canned foods at Costco but for the best deals on fresh vegetables and fruits you should head to the farmer's market. Most people are getting into vegetable and spice gardening today for the sheer fun of it, but they keep it up for the benefits. Having your own garden of vegetables — whether you have a backyard or grow the plants in a pot on the balcony — go beyond saving money. You will get to eat the freshest tomatoes from your garden on a hot summer, or having an assortment of spices and herbs that grow effortlessly in containers when you need it. The best part about gardening is that most communities support it, even when living spaces are limited. It is advisable that you find out which vegetables do well with minimal maintenance in your climate and start slow — growing a plant or two of different species to see how it grows before committing to the practice. Better still, you can freeze your harvest when it is in abundance or sell it if you harvest more than you can consume. Regardless of how busy your days are or how convenient it is to order a pizza for lunch, healthy and budget-conscious eating must involve cooking your own meals. If you have no experience in cooking your own meals, begin with something simple but healthy — such as your favorite vegetable snack. From here, you can look for recipes that are easy to make with readily available ingredients and begin making your own food regularly. There are many benefits to cooking your own food, besides saving time and money. You will be able to control the portions of food you eat to stay healthier and if you have a family, cooking at home will definitely bring the members together at the dinner table. When cooking becomes a habit, you will gradually realize that there are many benefits to preparing big batches of the food you make, then portioning them over a few days. You can begin by cooking large batches of multi-purpose foods such as vegetables to learn how long you can keep them refrigerated or frozen and how much you need to make at a time. Meats, in particular, can be expensive when bought in small amounts and are best cooked in 2 to 5 pound batches for a single serving. Other foods that you can cook in big batches are tomatoes, onions, rice, soups and stews. According to a report featured on CNN, Americans lead the world in food wastage, with about 40 per cent of good food going to waste every year. It is estimated that the country wasted as much as 540 million tons of food worth over $165 billion in 2018 alone. You can help prevent this by planning your menu and diet around the fruits and veggies in season and stop throwing away leftovers. Proper dietary planning and smart shopping will prevent such kind of wastage. In the same breath, learn to portion food properly to minimize leftovers and when serving, do not over-serve food. It is easier to store leftovers when they are still in the cooking pot. To help you along, invest in good containers that you can easily clean and re-use to store leftover food. Restaurants typically serve standard portions of food to every customer. This means if you eat out with your kids, they will probably be served as much food as an adult. This of course means paying full price for food that may not be finished. An easy way to cut the costs of eating out is to share meals and to reduce overeating. When out shopping, consider buying store branded products over the pricier and fancier national brands. Since all food manufacturers are required to adhere to set food safety standards, you never have to worry about the quality or safety of the generic foods on the store shelf. The main reason the prices of branded products are higher than those of store-branded foodstuffs often has nothing to do with quality; as long as you read and agree with the product weight and the list of ingredients on the label, you will be getting the most for your money buying generic. It also saves you money to buy simpler version of the products on your shopping list. For instance, when shopping for cereals, simple puffed or flaked products are cheaper largely because they contain fewer additives compared to fancier cereals. Even the fancy packaging comes with a price. DO not throw away that can of honey just because the label shows that it expired last week. If you did not know, the ‘Sell by' date on most packaged products is the date by which the store should sell the item to guarantee that the consumer gets maximum taste and freshness. The ‘Best if used by' date is also just a guideline set by the manufacturer to ensure the customer gets the best quality of the product. Products that are a few days or weeks past their ‘Sell by' and ‘best if used by' dates should still be perfectly safe as long as its smell, consistency, and smell seems normal according to the Food Safety and Inspection Service. Did you know that pre-processed, washed, or sliced products come with a higher price tag? Unless you need to or see a product on sale, avoid buying products that are prepackaged or already prepared. Buying bagged vegetables, pre-made deli foods, pre-packaged snacks, and processed organic foods should be a no-no if you are looking to save money on food. Instead, be your own barista and learn to prepare and pack your own snacks and foods. This is particularly important if you have a habit of buying pre-packaged and processed lunch at work. An average adult consumes more sugar than is necessary to keep the body functioning optimally. This is because most foods we eat today contain processed sugar as an ingredient. The sad part is that most of us are addicted to the sugar but we do not even realize it. If you are serious about getting healthy and saving money in the process, consider cutting out sugar from your diet. There is a good reason why the no-sugar diet is gaining popularity: people who try it discover just destructive and expensive sugar is. Low-sugar alternatives of your favorite food ingredients will offer just as much benefits, but with fewer downside to your health and wallet. A vegan diet is not only healthier for the human body; it also saves money. A vegan diet means cutting out dairy, eggs and meat from your diet while eating foods with alternative source of proteins. Getting started with a vegan diet is easy: first, make vegetables the star of every meal — from snacks to dinner. Make it a point to sample a wide variety of vegan foods, try out simple vegan recipes you can find easily on the internet, and stock up on whole grain foods. Your diet can include such foods as fish but you should focus on appreciating plant-based sources of proteins such as tofu, soybeans, lentils, nuts, chickpeas and beans. Most of these recommendations are general and can be adopted by anyone looking to minimize the cost of food while eating healthy. However, the key to making them work for you is repetition. Choose one item on the list and make it a habit and you will be surprised how easily the rest will catch on. In the end, you will be saving hundreds of dollars every year that would otherwise eat into your savings.